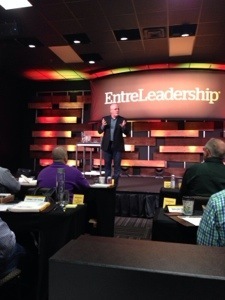 I had the privilege of attending Entreleadership Master Series, a week-long training on Entrepreneurship and Leadership taught by Dave Ramsey in Nashville, Tennessee. Let me start by saying, I will do a great job of sharing the highlights with you, both through pictures and with words, however, that will only scratch the surface of what actually happened at Entreleadership. It must be experienced to be truly understood. It was rich, rewarding and will totally revamp the way you view business, service and relating with people. Be a Virtual Delegate to Global Youth Forum.